As part of Bristol Ivy’s visit to Australia, we have secured her teaching skills for a road trip to various locations across NSW. 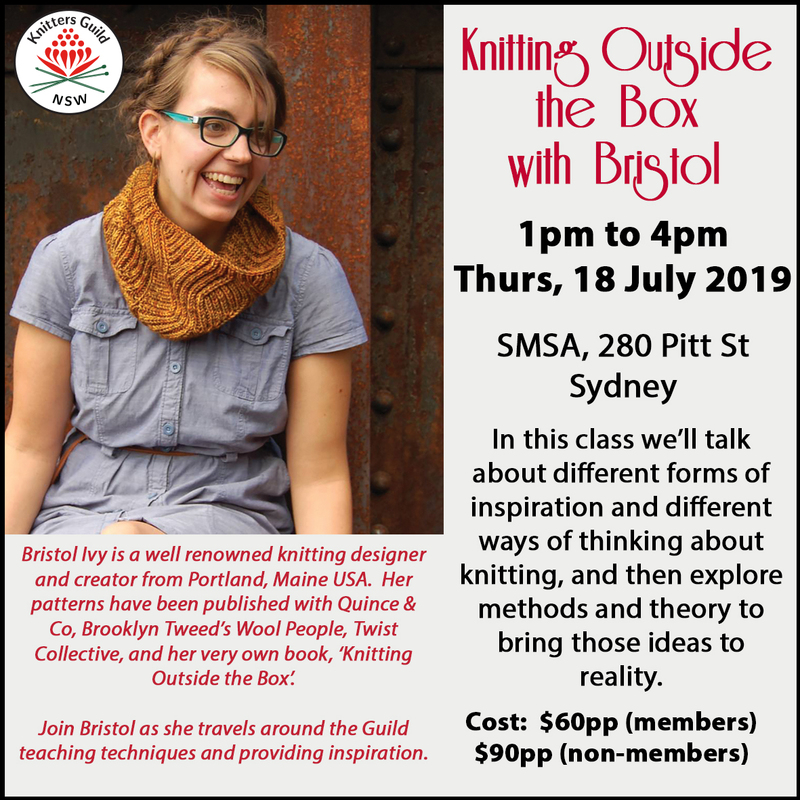 Bristol will be teaching a variety of topics that will be sure to inspire and education. 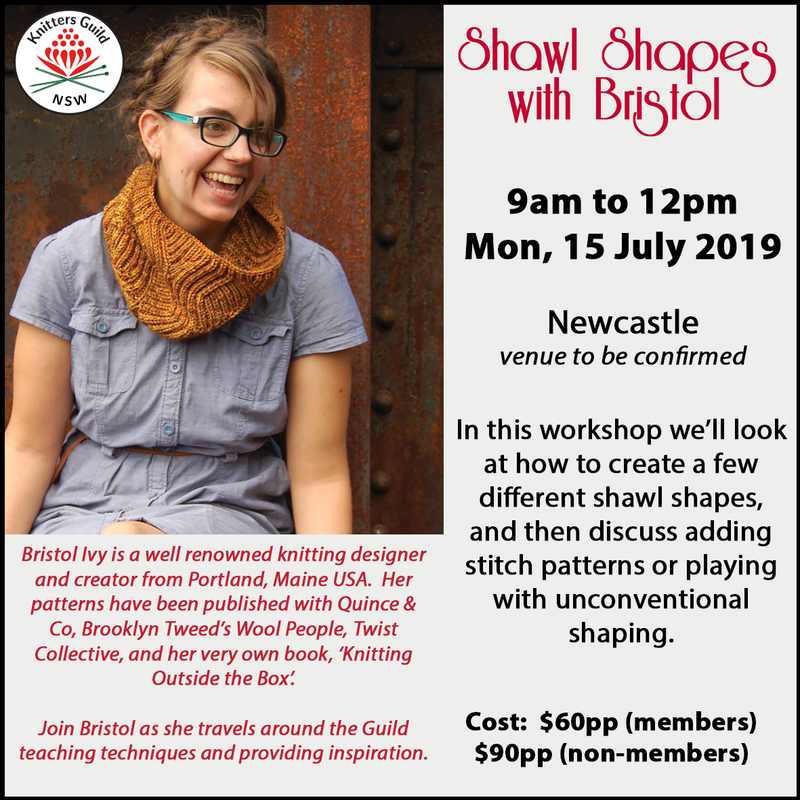 The Bristol Ivy Road Trip workshops are now open for bookings. Spaces are limited. 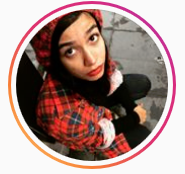 Click an event to book. Bookings are done through TryBooking.com. 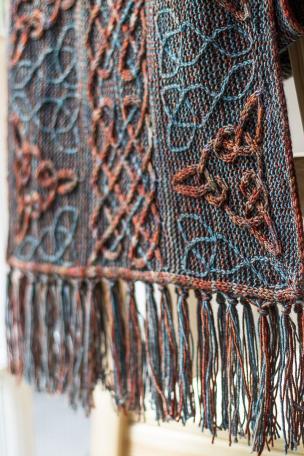 Introducing one of our Knitters' Guild Retailers. 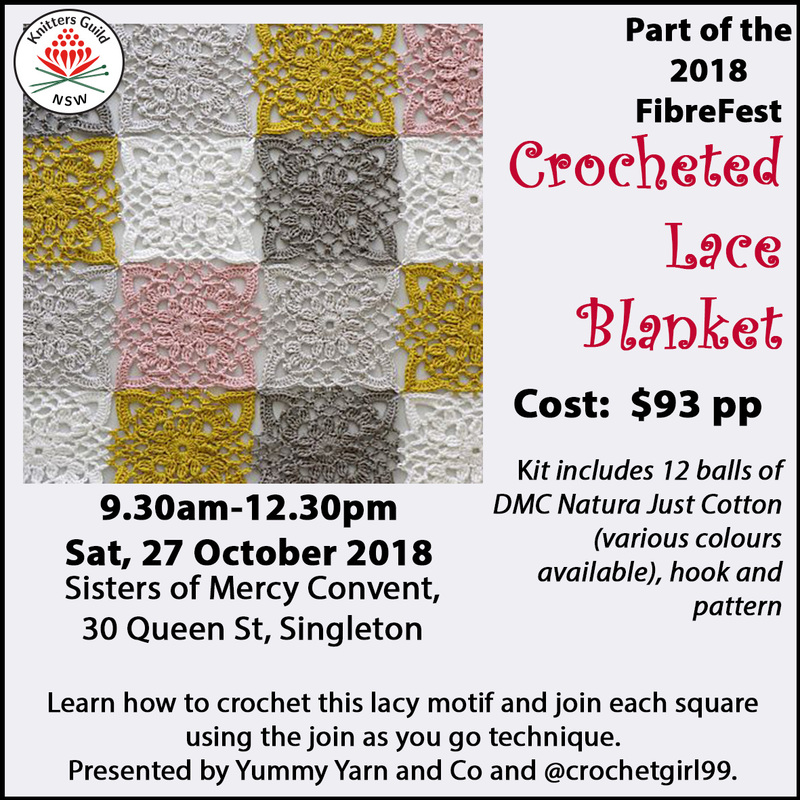 Come and meet FeltFine at FibreFest. 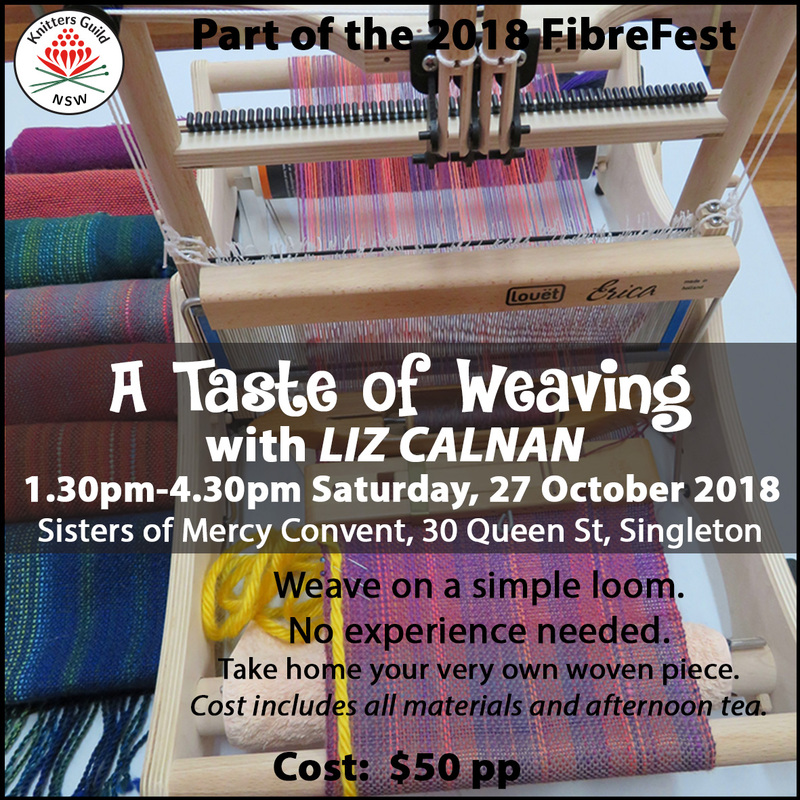 We had so much fun with the FibreFest knit-a-long that we thought we should have another one! 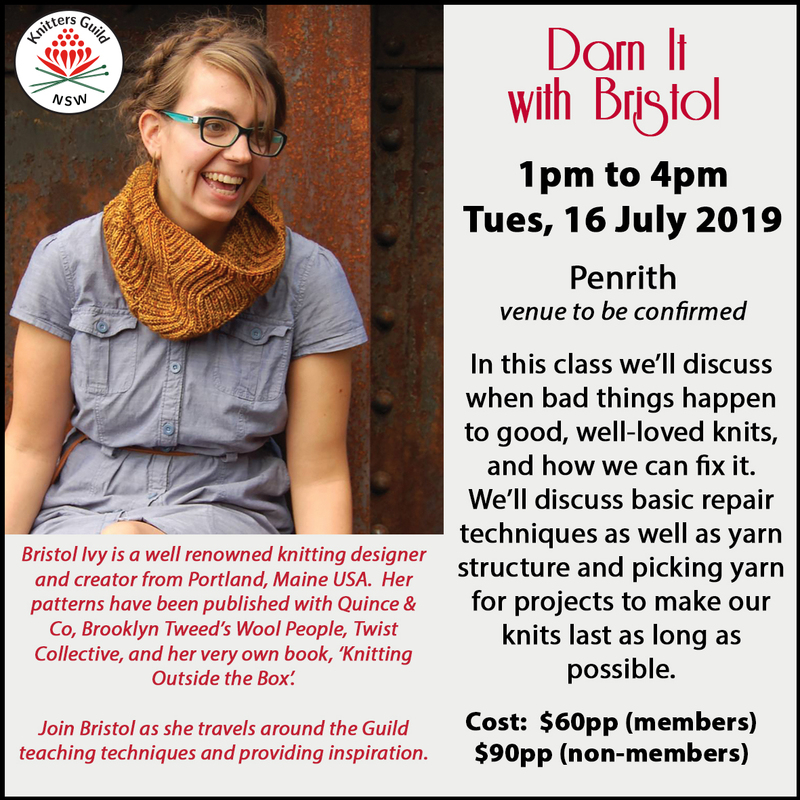 This time, it’s the ‘Bristol-along’. 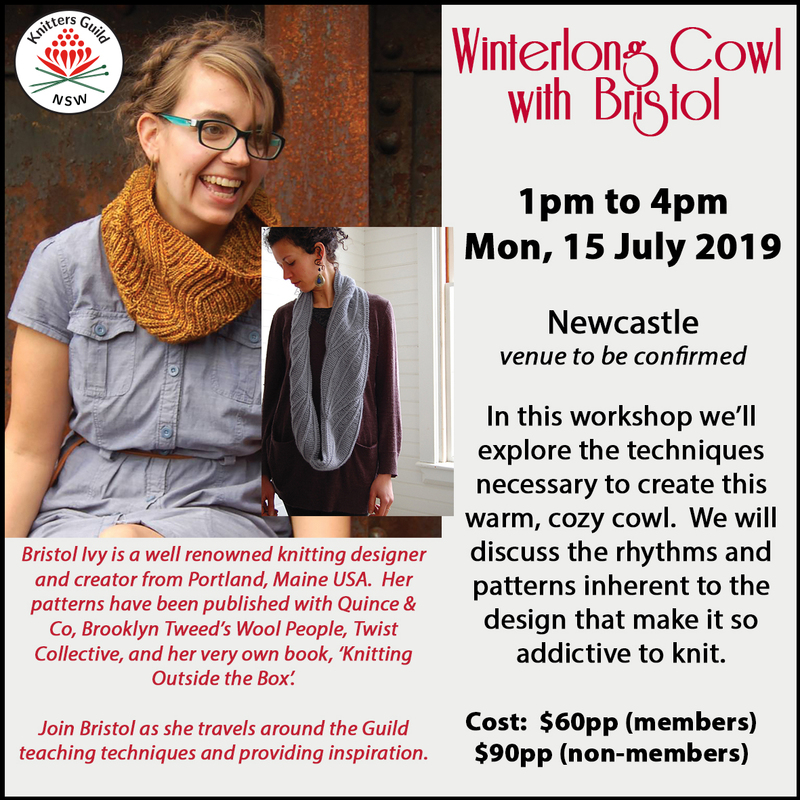 To celebrate Bristol’s visit and participation at the Conference in July, we are now encouraging all participants to knit any of her designs and wear it (or them) at the Welcome Reception on the Friday night. What a great way to show our appreciation, don’t you think? our crocheters will join in with some Bristol Ivy-inspired crocheted items. 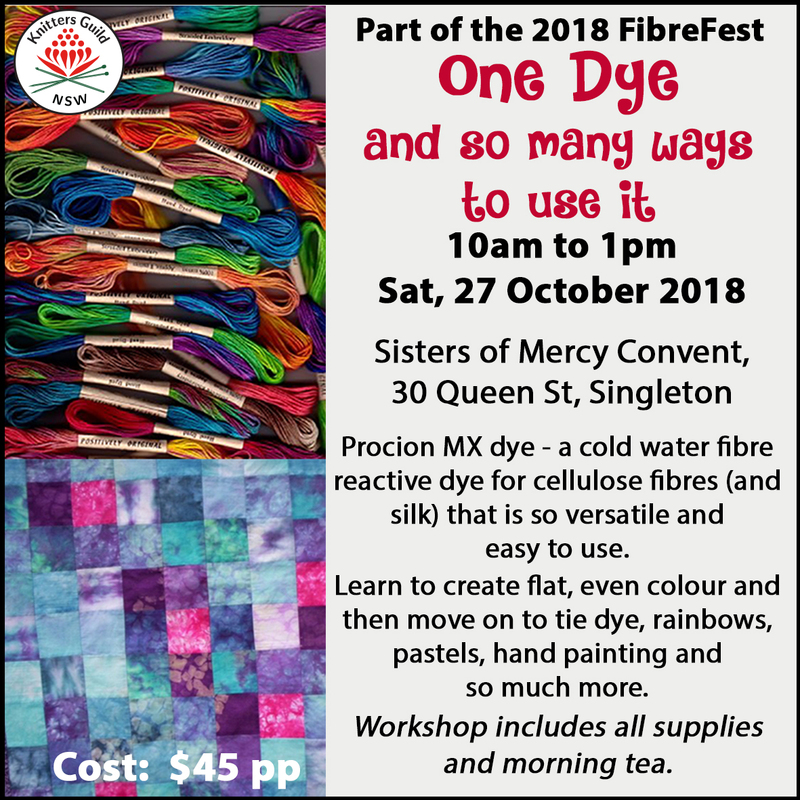 Missed out on a workshop at FibreFest? Good news - a new one has just opened up for booking. And to help you get over post FibreFest blues. 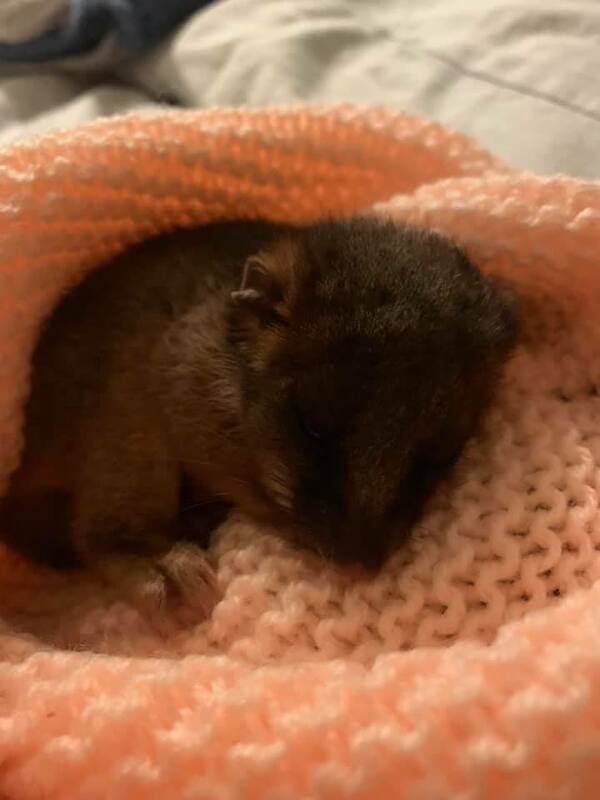 Sydney Wildlife Carers are looking for possum pouches for baby possums. 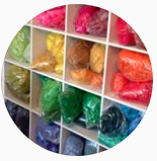 Pouches can be either knitted or crocheted, preferably with wool although acrylic is also acceptable. They can be any colour or design with the finished pouch being approx. 25 cm x 18 cm (10 x 7 inches). Details can be found here - possum pouches. 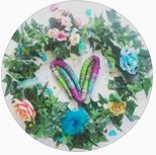 Looking for other charities to knit / crochet for? Check out our charities page for suggestions. We are thrilled to release the first of our 2019 workshops. Head on over to the Events page to book. 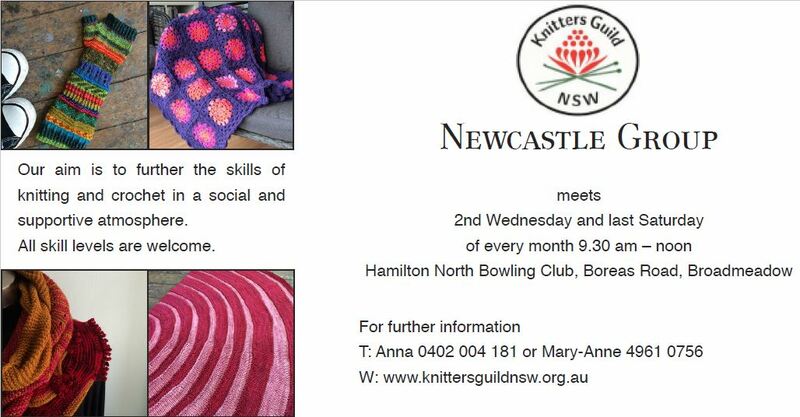 For all those people in the Newcastle region (and those who like to travel) who are unable to get to the Newcastle meeting during the week - the Newcastle Group now have another meeting option. 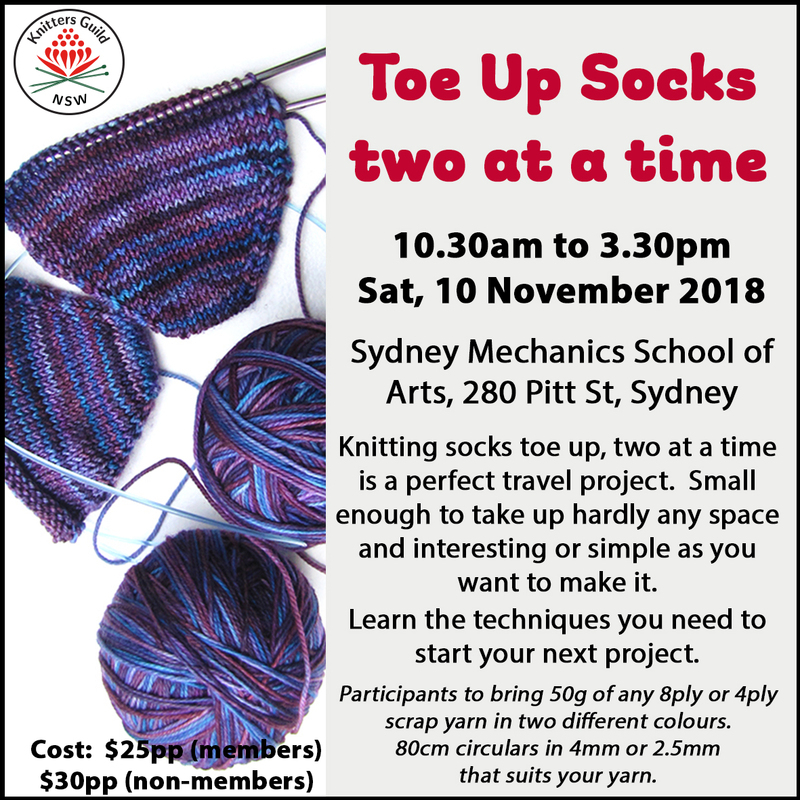 So pack your needles, hooks and yarn for the last Saturday of the month. Still meeting at Hamilton North Bowling Club.